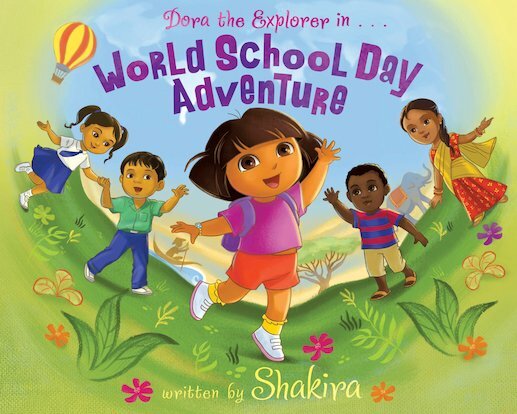 Today is World School Day, and Dora is very excited about the big fiesta with students from all corners of the world. But first Dora and Boots must deliver some very special supplies. Will you join them? Vamonos! Let’s go! Internationally adored singer, songwriter and humanitarian Shakira brings her signature storytelling to this vibrant new Dora picture book. Continuing the 10th anniversary celebrations of much-loved character Dora the Explorer, this school-themed adventure spans the globe and is sure to touch every heart. Here’s a picture of Dora for you to colour in. Use the spanish colour guide to colour Dora and Isa. Print out and colour this picture of Dora and friends. When you’ve finished you can cut out the picture and hang it on a ribbon to decorate your room. Download this Dora The Explorer sign to put on your bedroom door. My sister loves Dora, its a good one for her.